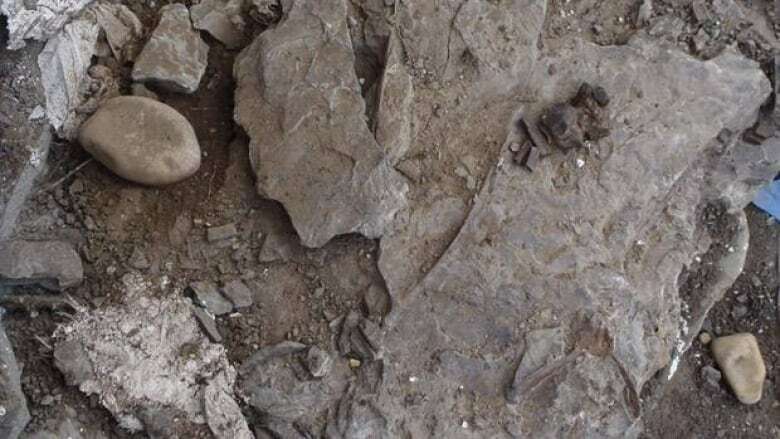 Someone has purposefully destroyed an "irreplaceable" dinosaur skeleton that was meant to be displayed at a new fossil museum in northern Alberta, says a paleontologist involved in a dig. "This was the find of the season for us. There was a lot of excitement around it. Now it’s just kind of a salvage operation, trying to put back the pieces. But it’s going to be significantly less than what it was going to be," said paleontologist Dr. Phil Bell. "It’s an irreplaceable loss." The duck-billed Hadrosaur fossil was discovered near Grande Prairie on June 15 by Bell and a team from the University of Alberta. The skeleton was partially uncovered by the team and then reburied so that it could be removed from the site in mid-July. Bell said the piece was in good condition and would likely have meant a major exhibit at the Philip J. Currie Dinosaur Museum, which is planned to open in the area next summer. "We’re so interested in every skeleton that comes out of here … every bone and every skeleton is really critical to understanding the ecology of these animals." When Bell visited the site again Thursday, he found the metre-long fossil torn to pieces, with bones either missing or scattered around the site. "They are irreplaceable. You can’t just go to the shop and get another one." The destruction isn’t an isolated incident. Three other fossils have been damaged at the dig site since May. In June, several bones were stolen from the dig. The paleontologist says volunteers often find empty bottles and debris near the dig site and think the vandalism may have been alcohol-fuelled. "[It's] trophy hunting," he said. "People want something to put on their mantel. I don’t think there is a black market for these things." The RCMP are investigating the incident along with officials from the University of Alberta and the Royal Tyrrell Museum.